"iPhone 5se" refers to the "iPhone SE," the 4-inch iPhone Apple launched on March 21, 2016. Before Apple's 4-inch iPhone launched in March of 2016, it was called by several names, including iPhone 6c, iPhone 5se, and iPhone SE. "iPhone SE" turned out to be the correct name, and details on the new phone are available in the iPhone SE roundup. Subscribe for regular MacRumors news and future iPhone 5se info. The "iPhone 5se" was the name rumored for Apple's 4-inch iPhone before it launched on March 21, 2016 as the "iPhone SE." 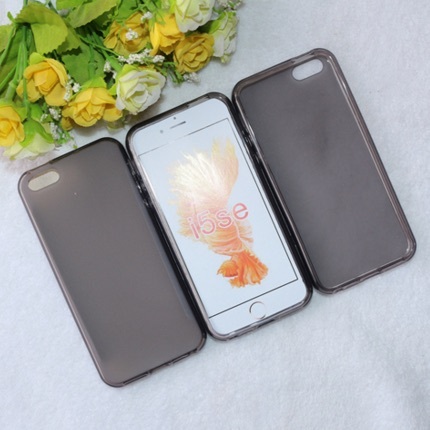 The iPhone SE combines the body of the iPhone 5s with many of the internals of the iPhone 6s, such as the A9 processor and 12-megapixel camera, resulting in a powerful but compact device. For details on the iPhone SE, make sure to check out our full iPhone SE roundup. The information remaining in the iPhone 5se roundup reflects the rumors that circulated about the 4-inch iPhone before its debut. Since the launch of the 4.7 and 5.5-inch iPhone 6 and 6 Plus in September of 2014, there have been rumors suggesting Apple plans to introduce a new 4-inch device aimed at those who want something both more affordable and smaller in size. Despite rumors, no new device materialized in 2015, but as of 2016, rumors have ramped up and it appears a new 4-inch iPhone will launch in March of 2016 at an event to be held on the 21st. For several months, rumors about the 4-inch iPhone were all over the place, perhaps as Apple itself worked to solidify a design and internal specs. With parts for the device now in production ahead of the March launch, we're getting a clearer picture of what we can expect from the 4-inch iPhone. 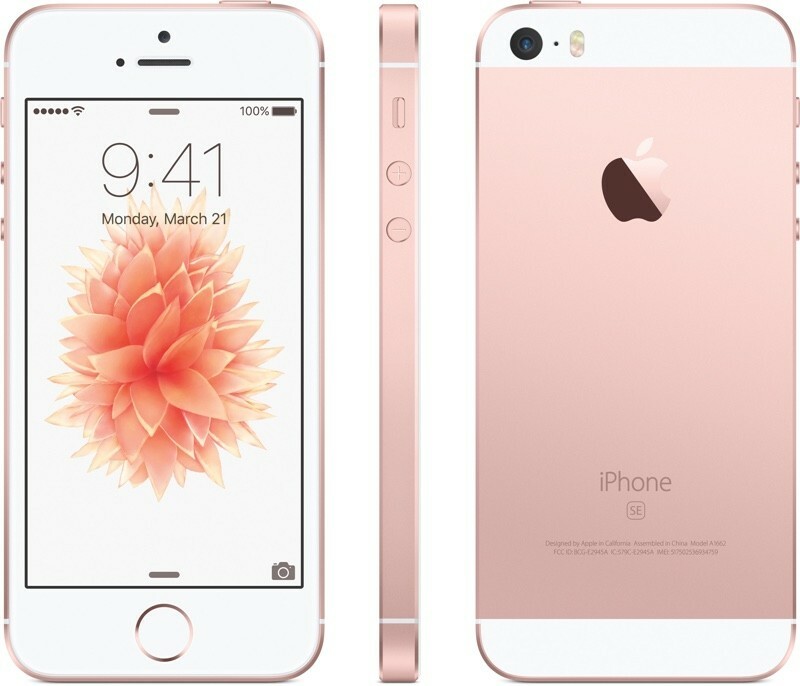 Said to be called the "iPhone 5se" or simply the "iPhone SE," the new device is modeled after the iPhone 5s. 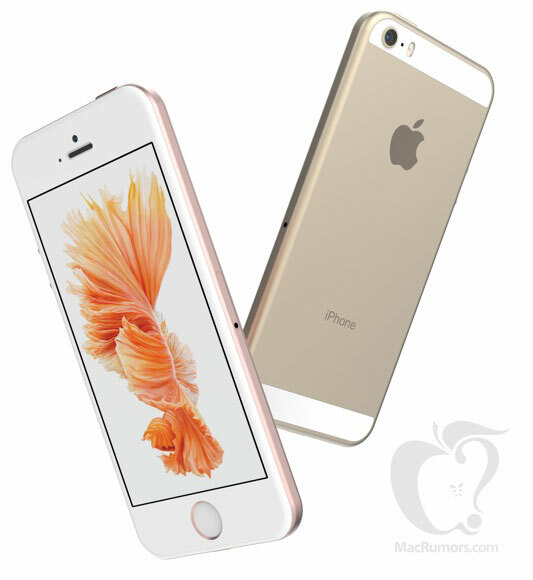 The name is meant to denote its position as a second-generation upgraded version of the iPhone 5s. 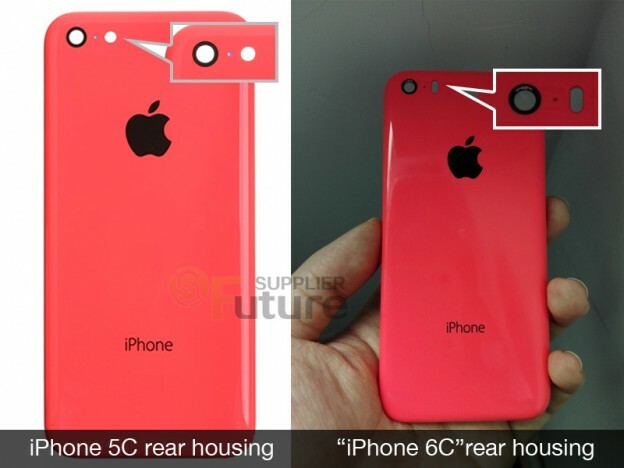 Earlier rumors about the 4-inch iPhone said it could be similar to the iPhone 5c, leading the media to refer to 4-inch device as the "iPhone 6c" over the past year, but that name was later abandoned in favor of iPhone 5se or iPhone SE. iPhone 6c, iPhone 5se, and iPhone SE rumors refer to the same 4-inch device Apple is developing. 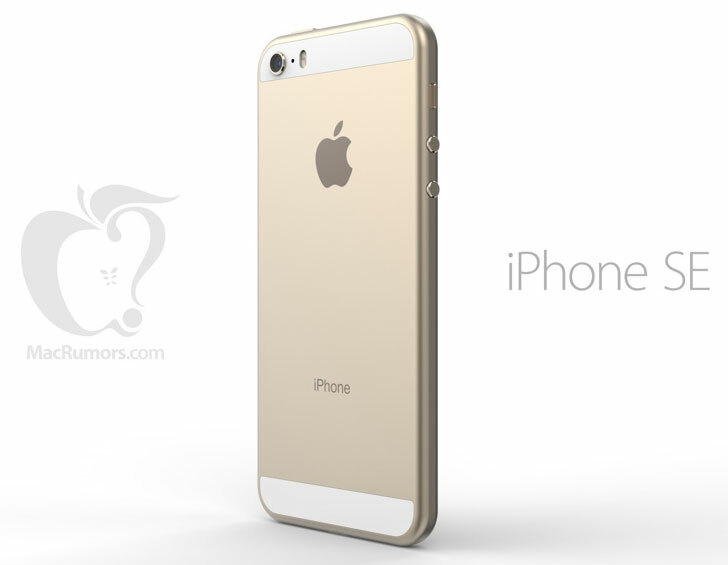 Rumors suggest the iPhone 5se will be the close in size and shape to the iPhone 5s, with the same general dimensions. It will include a display that curves slightly at the edges, but the curve is said to be less dramatic than the curved display on Apple's newest devices. When taking into account all of the different rumors we've heard, the iPhone 5se may be on par with Apple's larger-screened devices when it comes to performance, but it's not going to share all of the same features as Apple's flagship devices. 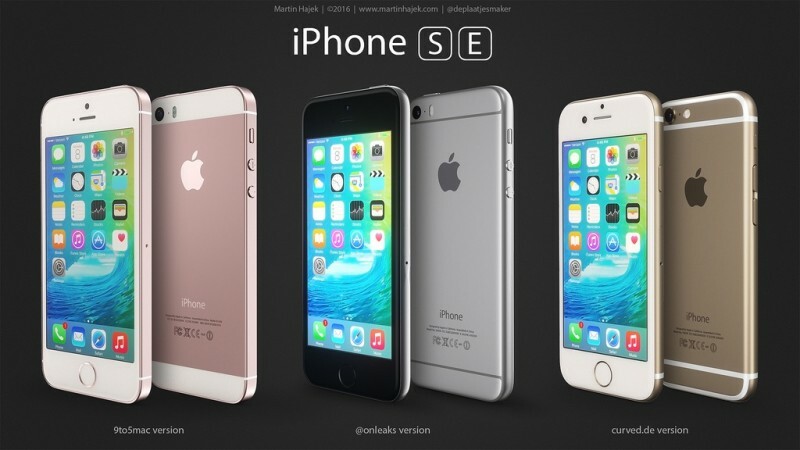 Internally, the iPhone 5se is likely to have the same A9 processor used in the iPhone 6s, but it may be limited to 1GB RAM and it may only come in 16 and 64GB capacities, with no 128GB option. The iPhone 5se is rumored to include the 12-megapixel rear camera found in the iPhone 6s. It will include improved autofocusing, support for larger panoramas, and the ability to capture Live Photos. While it can take Live Photos, the iPhone 5se will not be receiving 3D Touch because 3D Touch is a flagship feature in the iPhone 6s. Like all of Apple's recent iPhones, the iPhone 5se will include an NFC chip and Touch ID to support the company's Apple Pay payment service. It will also include the latest iPhone features like Bluetooth 4.2, fast 802.11ac WiFi, and VoLTE. 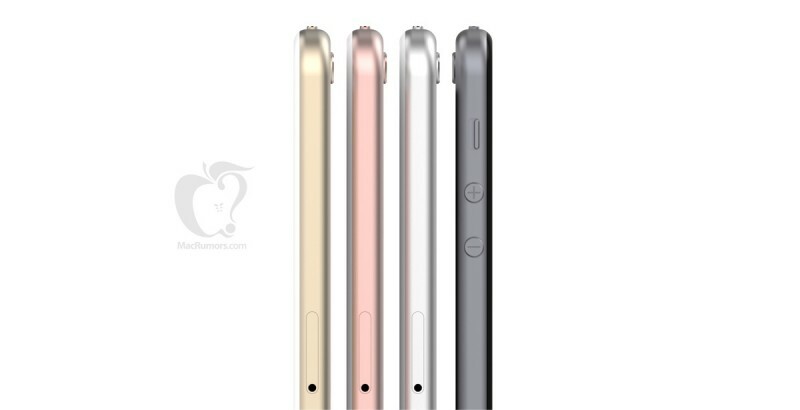 Rumors suggest it could have a 1,624 mAh battery, which is larger than the battery in the iPhone 5s. A mockup of what the "iPhone 5se" might look like. The iPhone 5se will be available in the same colors as the iPhone 5s, offered in Silver, Gold, and Space Gray, along with a possible Rose Gold option. As for pricing, rumors suggest the entry-level device could be priced at $400 to $500. Storage capacity for the 4-inch iPhone is expected to start at 16GB. Apple's new 4-inch iPhone is expected to launch in the spring, at an event that will take place on Monday, March 21. A set of iPhone 5se mockups based on information sourced from accessory makers depicts a design that is very similar to the iPhone 5s. The dimensions for both phones are said to be the same, measuring in at approximately 123.8mm tall, 58.6mm wide, and 7.6mm thick. One of the mockups (above) depicts an iPhone 5se body that is almost identical to the iPhone 5s, while another (below) features a body melding iPhone 5s design elements with design elements taken from the iPhone 6, such as the curved cover glass and a slightly protruding rear camera. The differences between the two separate iPhone 5se concepts can be seen clearly in renderings created by designer Martin Hajek. The image below compares a mockup made by 9to5Mac and a mockup made by OnLeaks (both designed from independently sourced information). Also included is a rendering designed by Curved Labs, which is purely fictional and not based on actual information about the device. 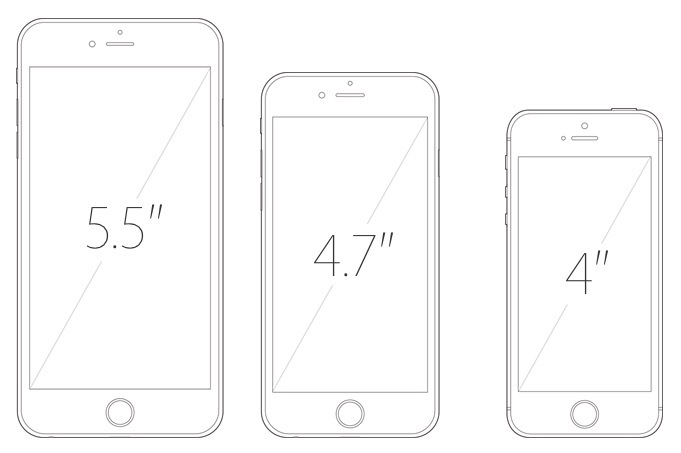 Renderings of each of the designs rumored for the 4-inch iPhone. Click to enlarge. Rumors about the iPhone 5se have indicated it will be of a similar size and shape to the iPhone 5s, with the two even able to share cases, but that information doesn't line up with rumors suggesting it will have a curved display, a feature that would result in an iPhone 6-style design. Taking all of the different rumors into account, we commissioned a set of renderings based on the OnLeaks drawing that combines a curved front display with an iPhone 5s-sized body. It is not clear if this is the design the iPhone 5se will adopt, but it is our best estimation of what it might look like based on current rumors. We've heard plenty of rumors about the iPhone 5se's design, but we have seen no part leaks that depict the back of the device, which is another factor that contributes to uncertainty about its look. With no visual evidence, it's still difficult to determine whether the iPhone 5se is an iPhone 5s clone or if it features a fresh design that takes cues from multiple devices. An exact design for the 4-inch iPhone isn't yet pinned down, but rumors seem to agree that it will include a pill-shaped flash as on the iPhone 5s and a power button located at the top of the device. 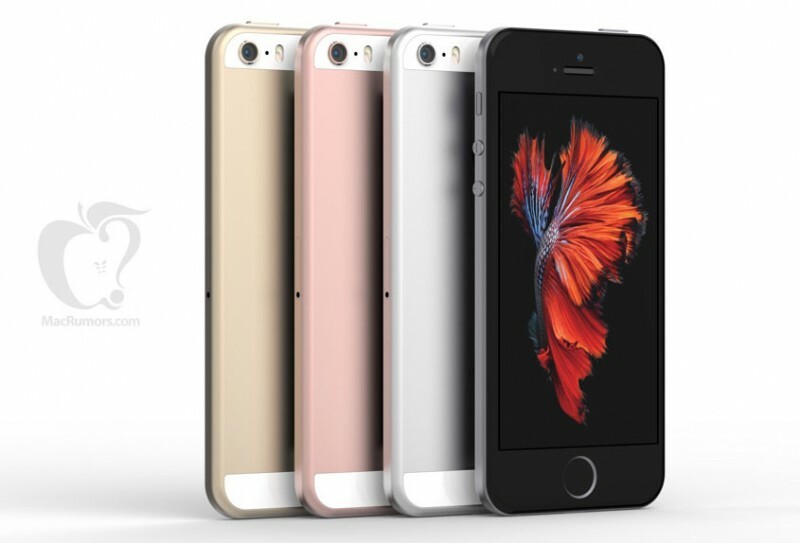 It will reportedly come in standard iPhone colors -- Silver, Space Gray, Rose Gold, and Gold. Cases for the 4-inch iPhone have been surfacing recently and have not cleared up the question of what the final design might look like. 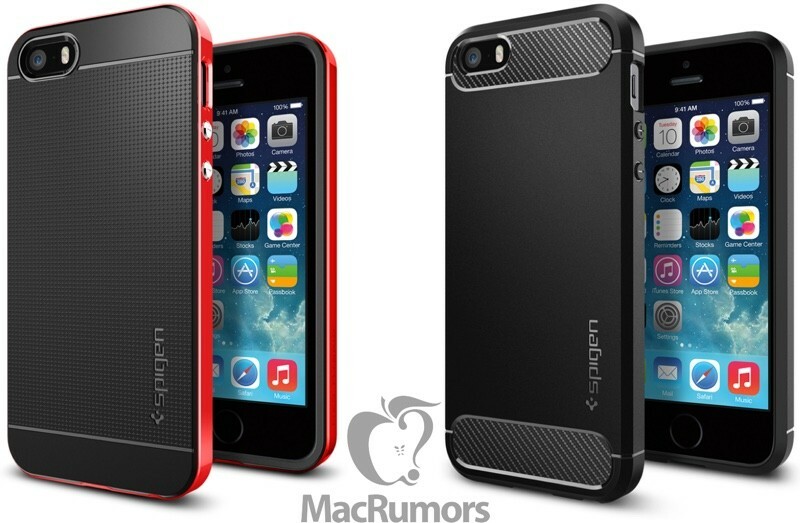 The case below, for example, has an iPhone 5s-style design with the same boxy body. 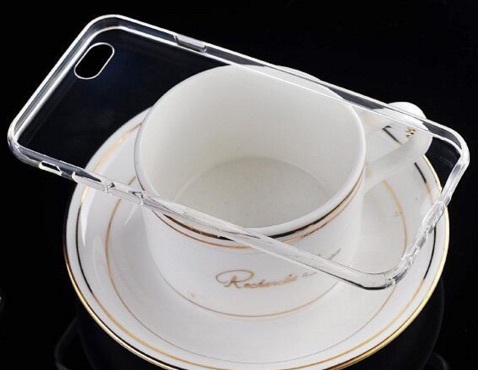 Other cases, like this clear case, have an iPhone 6-style design with rounded corners and a power button located on the side of the device instead of the top, something that hasn't been depicted in design drawings. Case renderings from Spigen, an established and well-known case maker, support the rumors suggesting the iPhone 5se will have a design that is very similar to the iPhone 5s. Spigen is the first major case manufacturer to share its iPhone 5se case designs. In a video that compares cases designed for the iPhone SE to the iPhone 5s, the iPhone SE case (which appears to have an iPhone 5s-style design) fits the iPhone 5s, but there is issue with the alignment of the volume buttons on the side of the device. The iPhone SE has been rumored to include slightly curved glass at the edges rather than the sharper chamfered edges found on the iPhone 5s, so that could account for the difference in fit. Early iPhone cases typically give a reliable picture of what an upcoming iPhone will look like, but it appears there is some definite confusion among case makers over the design features of the 4-inch iPhone. 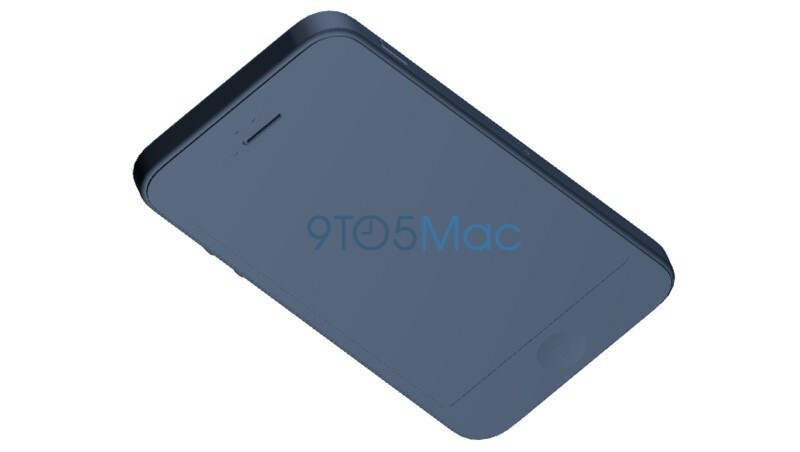 The first leak of a purported 4-inch iPhone component came in late February. 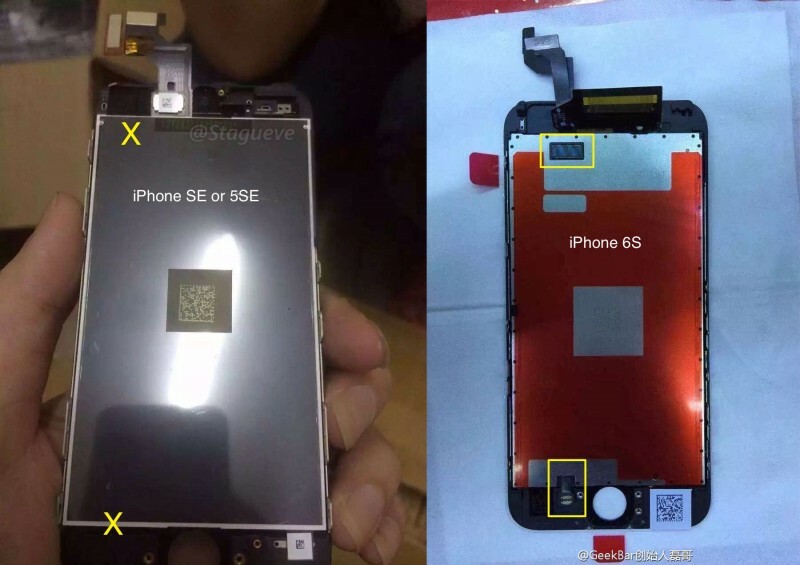 Photos of a display assembly said to be for the iPhone 5se seemingly confirm the device will not include 3D Touch. Compared to a display assembly from the iPhone 6s, the iPhone 5se display assembly is lacking the necessary 3D Touch components. While we can't confirm the display in question is indeed from Apple's upcoming iPhone, it is largely similar to the iPhone 5s display assembly without being identical. 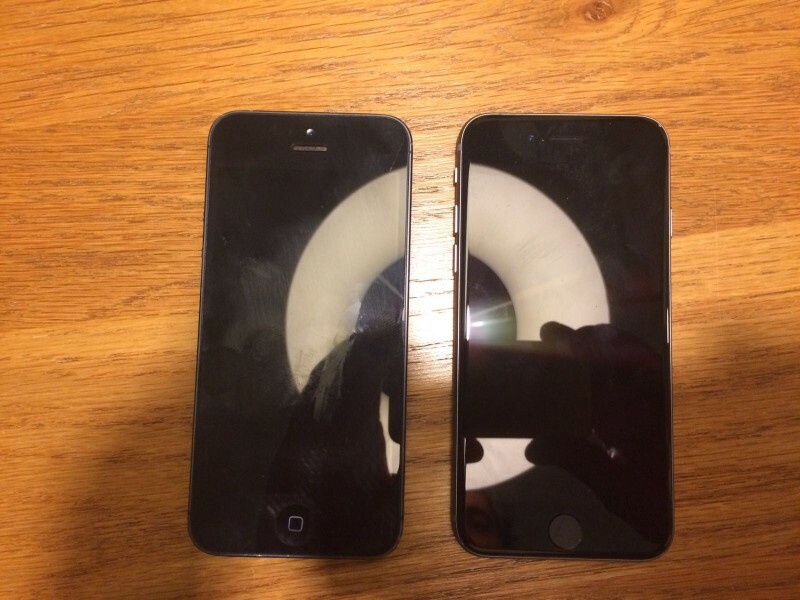 Back in January, an image surfaced depicting Apple's alleged 4-inch iPhone next to an iPhone 5. The 4-inch iPhone in the photo appears to be the same size as the iPhone 5, but it includes iPhone 6s design elements such as curved glass edges, thinner bezels, pill-shaped volume buttons, and a power button that's been relocated to the right side of the device. Given the fact that the device in the photo does not match up with rumors suggesting a more iPhone 5s-style design, it may be fake. 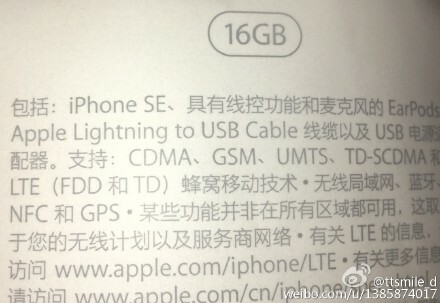 An image depicting what might be the iPhone SE packaging seems to confirm it will start at 16GB of storage on the low end. It will also include a Lightning to USB cable and NFC support for Apple Pay. For several months, rumors have agreed that the 4-inch iPhone will be similar to the iPhone 5s, adopting its aluminum shell but we've only recently learned that two devices may share a similar body design as well. According to design leaks and information from Japanese site Mac Otakara and multiple design mockups, the iPhone 5s and the iPhone 5se are the same size, but the final design of the device remains in question due to a lack of part leaks. While the body of the iPhone 5se is said to be similar in size and design to the iPhone 5s, its display may have slight differences. Rumors suggest the iPhone 5se will have a front glass panel that curves slightly at the edges, similar to the iPhone 6s but not as dramatic. Given the chamfered edges of the iPhone 5s, it is unclear exactly how Apple will meld these two very different design elements. Rumors about the processor expected to be included in the 4-inch iPhone have been split between the A8 found in the iPhone 6 and the A9 found in the iPhone 6s, but as we get closer to launch, information has solidified around the A9. 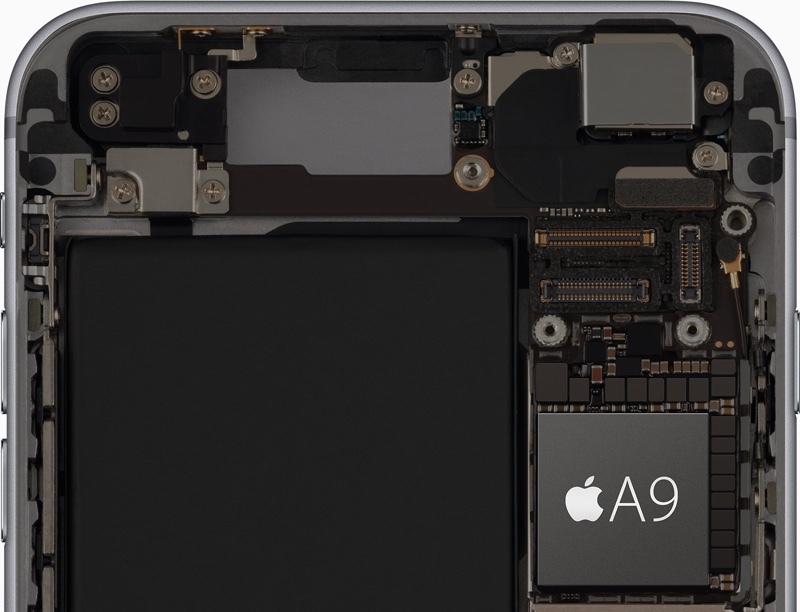 The A9 was a huge step up over the A8 used in the iPhone 6, and will offer even greater performance improvements over the A7 in the iPhone 5s. It is 70 percent faster at CPU tasks and 90 percent faster at GPU tasks than the A8, which was already an impressive chip. The A9 includes a built-in M9 motion coprocessor, which will allow the iPhone 5se to use the always-on "Hey Siri" feature. In A9 devices, "Hey Siri" can be used at any time to activate Siri by voice for hands-free operation. In older iPhones where the motion coprocessor was a separate chip, "Hey Siri" was only available when the iPhone was plugged into power. The M9 motion coprocessor is also able to measure walking and running pace in addition to steps, distance, and elevation changes. Elevation is measured using a built-in barometer that's also expected to be included on the iPhone 5se. There have been a few rumors about the amount of RAM we can expect in the iPhone 5se, and while one rumor suggested it could include 2GB RAM, several other rumors have pointed towards just 1GB of RAM. This is in line with the iPhone 6 and the iPhone 5s. Initial iPhone 5se rumors suggested it would use the same 8-megapixel rear camera found in the iPhone 6, but later information points towards the inclusion of the 12-megapixel camera introduced with the iPhone 6s. 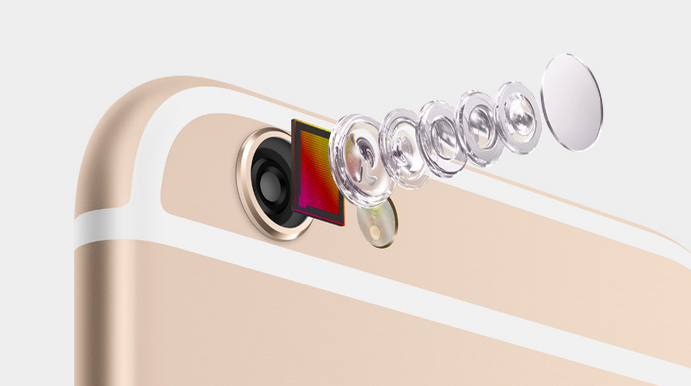 The 12-megapixel camera in the iPhone 6s introduces more detail in photos along with improved autofocusing speeds and better noise reduction. It supports 63-megapixel panoramas, is able to capture 4K video at 30FPS, and includes support for taking Live Photos. Live Photos are currently an iPhone 6s-only feature and because the 4-inch iPhone is not expected to include 3D Touch support, they will be played back using a long press like on older iOS devices. The iPhone 5se is rumored to include many features found in Apple's most recent devices, like the newest Bluetooth 4.2 specification, faster 802.11ac WiFi, a barometer for tracking elevation, and VoLTE support. Like the iPhone 5s, it will include Touch ID, but it will also ship with an NFC chip. With built-in NFC, the iPhone 5se will support Apple Pay, Apple's payment service. 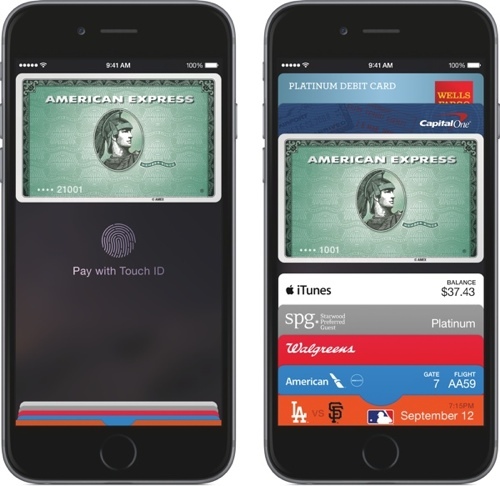 It will be capable of making Apple Pay payments both in retail locations and within apps. To differentiate it from Apple's flagship iPhone 6s, the iPhone 5se may only come in 16 and 64GB capacities, much like the iPhone 6 that Apple continues to sell as a lower-cost previous-generation device. That will be a step up from the iPhone 5s, which is offered in 16 and 32GB capacities. The battery in the iPhone 5se may be slightly larger than the battery in the iPhone 5s, measuring in at around 1,624 or 1,642 mAh. Two battery life rumors have transposed those last two numbers, so the correct capacity is unclear. Comparatively, the iPhone 5s has a 1,560 mAh battery. The iPhone 5se may see small gains in battery life, but will likely continue to offer the 10 hours of talk time the iPhone 5s offers. Apple's 4-inch iPhone may be priced between $400 and $500 in the United States, a price that is more affordable than the iPhone 6s or iPhone 6, which start at $649 and $549, respectively. 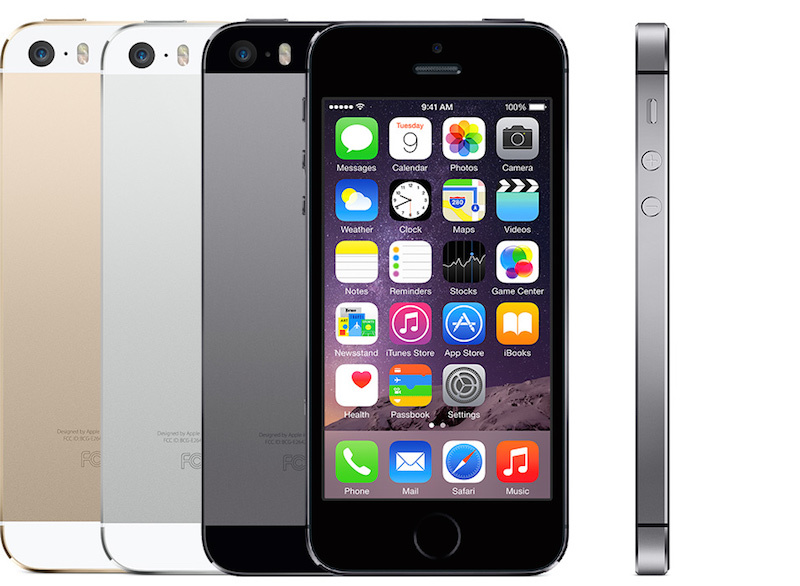 Apple may also continue selling the iPhone 5s, dropping the price to $225. 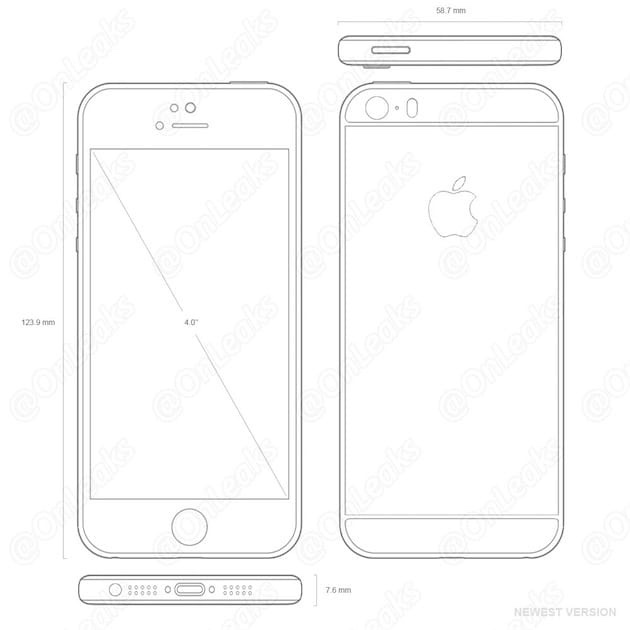 The first rumors about a 4-inch iPhone in December of 2014 suggested Apple would launch such a device in 2015, and soon after, an image of a leaked 4-inch iPhone casing surfaced alongside a report claiming three iPhones would be released in 2015: the iPhone 6s, iPhone 6s Plus and the 4-inch iPhone. Early rumors about the device suggested it would be a followup to the colorful iPhone 5c, adopting the same general design and plastic casing. For that reason, the 4-inch iPhone was dubbed the "iPhone 6c," the name used by the media for the device until rumors of the "iPhone 5se" moniker surfaced. Early rumors also positioned the device as a lower-end entry-level model like the iPhone 5c, a notion that was abandoned by some later rumors. As 2015 rolled around, rumors about the 4-inch iPhone tapered off and a July 2015 report suggested while Apple had planned on releasing an iPhone 6c, the project was cancelled to focus on selling the price reduced iPhone 6 and 6 Plus to customers looking for a less expensive iPhone. iPhone 6c plans were shelved for 2015, but rumors picked up again in late 2015 and pointed towards a 2016 launch date for the 4-inch iPhone. Renewed rumors abandoned claims the 4-inch iPhone would be a successor to the iPhone 5c and instead suggested it would resemble the iPhone 5s with an aluminum shell. Rumors about the 4-inch iPhone have varied wildly over the past few months, making it hard to pin down details about the device. Some rumors said it would have a colorful metal casing, while others pointed towards more standard colors. Rumors also disagreed about the internal specifications, with some saying it would have an A8 chip and others pointing towards an A9, while still others disagreed between 1GB and 2GB of RAM. Rumors now point towards a 4-inch iPhone that adopts design features from the iPhone 5s and internal features from the iPhone 6s, a stark contrast to the earlier rumors that positioned the iPhone 5se as a less powerful entry-level device. Current thought suggests the iPhone 5se will use the same A9 processor and camera system that's found in the iPhone 6s. It will also include technology found in all of Apple's latest devices, such as an NFC chip for Apple Pay, 802.11ac Wi-Fi, and Bluetooth 4.2. To differentiate it from flagship devices, it will not include 3D Touch. 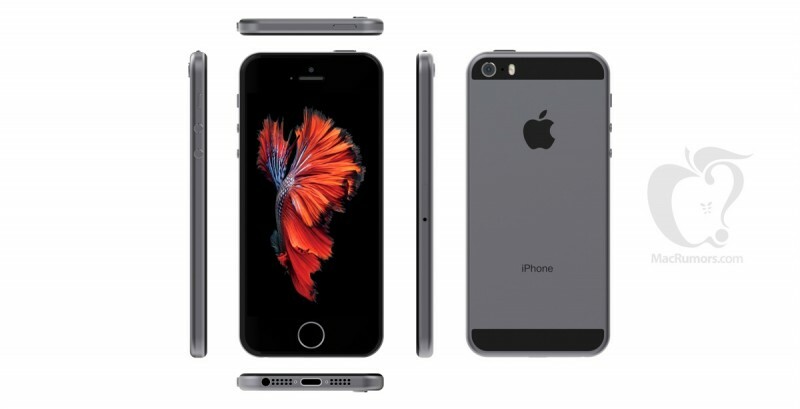 The 4-inch iPhone's name has also seen several evolutions. As mentioned, it was originally called the "iPhone 6c" by the media before evolving into the "iPhone 5se" to denote its position as a successor to the iPhone 5s. It was later suggested the iPhone's actual name is "iPhone SE," dropping a numbered designation entirely. Apple is planning to hold an event on March 21, which is where the iPhone 5se is likely to make its debut. The event may have originally been planned for March 15 but pushed back.